We wish we could take full credit for this new Sinn limited production watch but we cannot. 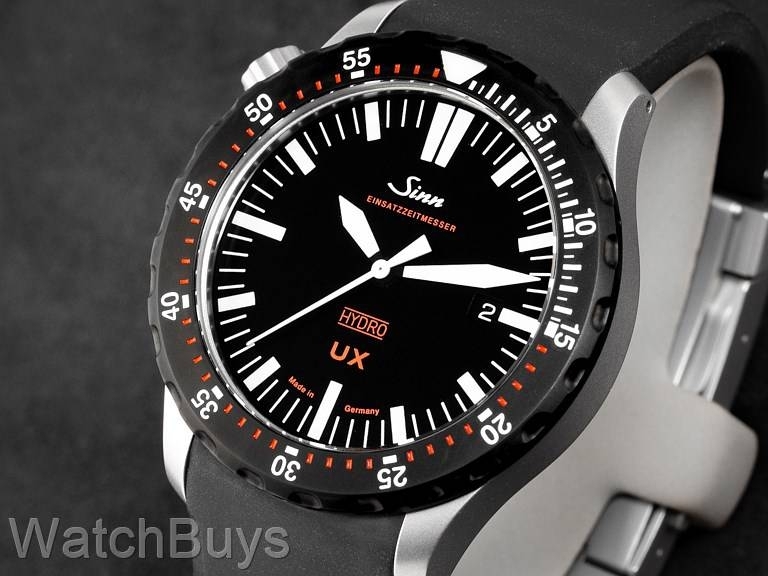 Like many great Sinn watches this special Sinn UX diver’s watch was born at a WatchBuys Road Show a while back. Frequently at the end of the day a number of guests stick around and we end up having a long conversation in the game of, "I wish Sinn would make...”. Little do our guests know that not only are we listening but we are taking meticulous notes as these sessions can produce amazing watches. And this watch is the result of one of those get-togethers. What is a Limited Production? We are often asked about the difference between a limited edition and a limited production watch. Simply stated a limited edition watch is one where the total number of units produced is known in advance. For example a limited edition of 100 pieces means that the company will produce only 100 pieces and stop, and typically each piece is numbered as X/100. A limited production watch is one that is not in standard production by Sinn which can be put in production from time to time depending upon their minimum order requirements and how much work is involved to make the changes. This new Sinn UX design is a limited production watch which means we will never have a large quantity in stock and it will usually be sold out, but we will receive a small shipment once or twice each year. 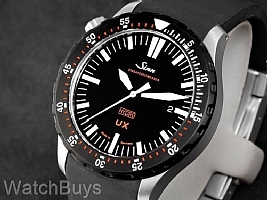 What is Different About This Sinn UX? A common request that we receive is to blend the two different feature sets of the Sinn UX watches together to create a new watch. Currently there are two primary versions of the Sinn UX, one of which is called the Hydro and one which is commonly referred to as the GSG9 special forces watch. The two watches differ by dial, hands, crown location and other small cosmetic differences. To create this new Sinn UX Hydro Limited Production we worked closely with Sinn to get the details just right and to meet the requirements discussed with our Road Show guests. Although many of these changes are subtle the end result is quite striking and the watch is clean, crisp and extremely legible. In many ways it combines the best of both Sinn UX watches and your feedback was invaluable to the design of this watch. This special edition watch is fitted with a black Sinn silicone rubber strap with a diver’s locking buckle.